Janasena party looking for candidates..
Sri Ramachandra Murthy October 17, 2018 21:08 IST Janasena party looking for candidates..
Andhra Pradesh sources added that Ex MLA of Gajuvaka Chintalapudi Venkatramaiah is the frontrunner to join Janasena. Meanwhile Venkatramaiah, who had tried to meet Pawan in Araku during his first phase of tour and failed to meet, has managed to meet Pawan during the second phase of his Porata Yatra and extended his support to Pawan. As per report Paruvada ex MLA Gandi Babji is also making beeline to join Janasena and he is trying to join Janasena and even met Pawan recently. Accordingly Gandi Babji originally belonged to Congress party and after Congress, he had joined YSRCP and later joined TDP. Nextly Telugu Desam Party leader Kona Tatarao is going to quit TDP and is likely to join Janasena. Previously Tatarao had served as the town president and district executive of the party. He had quit his job in Steel Plant and joined into politics. Presently he is also expecting Gajuvaka Assembly ticket to contest. 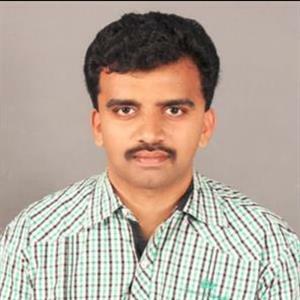 Furthermore Mandava Ravi Kumar, of Balaji Educational institutions in Gopalapatnam, is also seriously contemplating to enter into politics. Moreover he wants to try his luck in politics under Janasena. Mandava is expecting Pendurthi Assembly ticket from Janasena. Finally convener of AP State Christian Leaders Forum and Director at Catherine public school, Bheemili is keen to join Janasena. Further Oliver Rayi is expecting Bheemili constituency ticket from Janasena to contest. Even Candidates Shy Away from Janasena Review Meeting Even before the election results are out, it looks like Janasena is certain about the failure as the writing on the wall. Pawan Kalyan himself disappeared after the polling and hurried arranged review meetings of the candidates in Mangalagiri office after 10 days of the polling. The candidates of Uttarandhra, Godavari districts, and Krishna were called.